Southern Kaduna Youth and Student Forum (SKYSFOM) has stated that its three weeks ultimatum to Governor Nasir El-Rufai to re-open their schools stand. 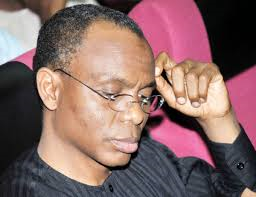 The group said Kaduna government has no regard for freedom of expression and the educational advancement of the people of Southern Kaduna and the institutions located within the zone. Its president, Galadima Jesse, in a statement on Tuesday recalled that on 12th June, 2017, when they were supposed to address the world and plead with the Governor on the reopening of tertiary schools through the media, the students faced harassment by heavily armed policemen who barricaded the NUJ secretariat in Kaduna. He noted, “The main issue we want Nigerians to know is the despicable and inhumane treatment meted to students through the closure of the College of Education, Gidan Waya, the Kafanchan Campus of the Kaduna State University and the School of Nursing, Kafanchan. “These schools were closed down since December 2016 and up to now, they remained closed. Infact, the Kafanchan Campus of the Kaduna State University was closed down on the 19th of December, 2016 and has remained closed since. College of Education Gidan Waya was also officially closed on the 20th of December 2016 but educational activities were already paralysed since late October due to the attacks on communities close to the school that wasn’t quickly tackled. “The reasons given by the State Government is ‘insecurity’. We find that laughable, ridiculous and an indictment on the government. Assuming that the excuse of insecurity is valid, then how come all other schools – private and public, state institutions, state agencies, markets and so many other institutions and facilities have been open all these while? “Doesn’t the continued closure of the three tertiary institutions indict the Government that it has been unable to secure it citizens? Isn’t it also an indictment and an indirect way of saying that the security personnel drafted to Southern Kaduna, including a permanent military formation, is directly telling us that it is not able to secure the three schools? “Can the state Governor explain to us why the University of Maiduguri that has been persistently attacked and bombed remains open today, while the tertiary institutions in Southern Kaduna, that have never been attacked or bombed should be closed for close to a year? “Is the State Governor still trying to give a wrong impression to the outside world that Southern Kaduna is still in crisis when peace has returned to the zone? Which is more difficult; to reopen the Kafanchan Campus of KASU and continue with normal lectures, or transfer the students to the main campus in Kaduna, as the Governor is trying to do? We say no to that. “Isn’t it ironic that while the three tertiary schools in Kafanchan remain deliberately locked, the Governor is busy trying to increase his educational laurels at the University – Merit in the Netherlands as a part-time PhD student? Then why is he denying other young Nigerians their right to also get educated? We are sure it’s because none of his children attends any of the closed schools. “With all these, we make bold to say that Governor Nasir El-rufai is deliberately and methodically trying to slow down the educational growth of the people of Southern Kaduna and the institutions located within. This is a serious crime against humanity that the Governor is guilty of and we make bold to say that we the students will lawfully and legally resist him. “Consequently, we demand the immediate reopening of the tertiary schools in Kafanchan so that our members can go back and continue with their studies, because this same Governor has told the world that normalcy has returned to Southern Kaduna, then why is the Governor contradicting himself by ensuring the schools remain closed through the guise of insecurity? We say no to that! “We call on all our members of the affected institutions never to get frustrated to the point of throwing away the garb of civility that we have been pursuing this issue. We assure them that we will never rest until they return back to school. Our three weeks ultimatum which commenced on 12th June, 2017 for the governor to reopen the schools still stands”.